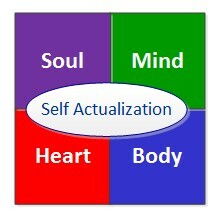 We view personal growth and fulfilment as a multidimensional and dynamic process. The goal of the process is to have you improve yourself, your performance, and your life. The process is comprised of several elements that combine to make a more fulfilled life for you. We view the process as having a foundation as well as supports that help maintain personal development and its four phases. 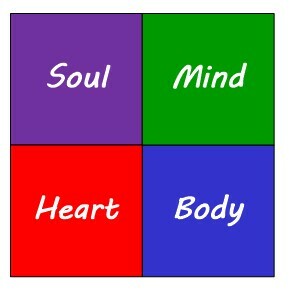 We believe you must develop and balance all facets of yourself; mind, body, heart, and soul. 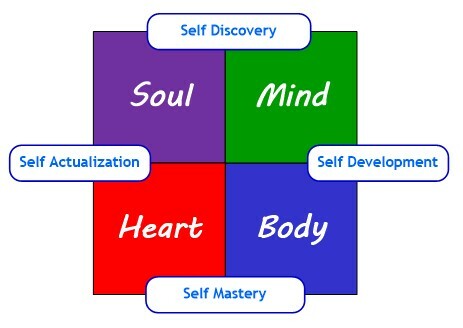 We view these four facets or dimensions as your foundation to self. Some people believe the foundation of self is two dimensions; mind & body. Others may think of it as three dimensions; mind, body, & soul. We, however, view it as four dimensions. Mind – Your dimension for building your mental attitude and mental strength. It is comprised of knowledge acquisition, learning enhancement, and mental conditioning. Body – Your dimension involves caring for your physical body. This dimension is comprised of four main parts; health, nutrition, fitness, and relaxation. Heart – Your emotional dimension. This dimension has two domains; a personal domain that centers on your emotions and a social domain that centers on your relationships with others. Soul – Your soul is your spiritual dimension. Your soul is at the center or core of your being; it is who you truly are. It embodies your motives, your principles, your values, and is what guides you in your life. 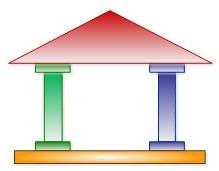 The foundation of self has two pillars. 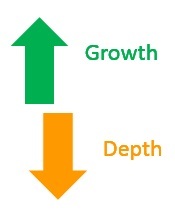 These two pillars help balance personal development and growth. 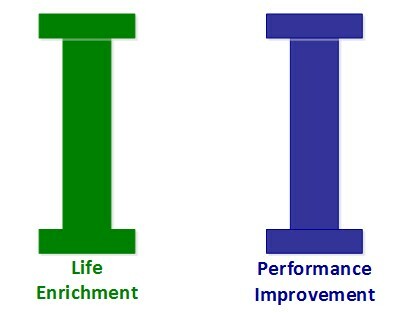 One pillar is Performance Improvement and the other is Life Enrichment. 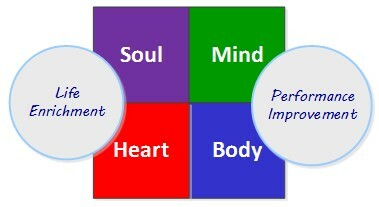 The Performance Improvement pillar supports mind and body, while the Life Enrichment supports heart and soul. Life is not just about the growth you experience, but it is also about the depth of your experiences. Your growth should be like that of a strong healthy tree that grows tall as well as deep. The top of the tree grows and branches in many directions, while the base becomes deep rooted to support that upward growth. Performance Improvement focuses on growing and improving both the mind and body. Life Enrichment concentrates on personal fulfillment by deepening the heart and soul. 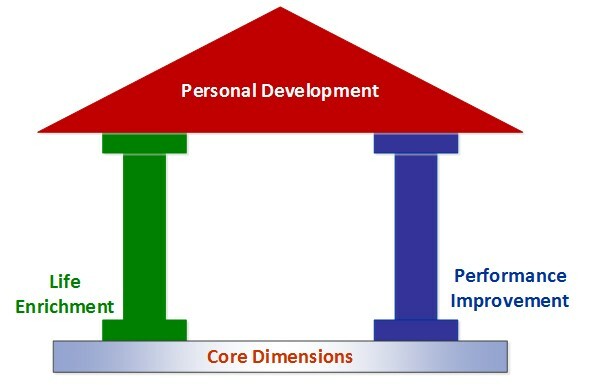 Performance Improvement deals with enhancing your physical and mental performance by helping you analyze performance gaps and develop solutions so that you can perform at your peak potential. It focuses on knowledge acquisition, mental conditioning, as well as physical conditioning and strengthening. Life Enrichment helps you create a complete and fulfilled life by discovering your purpose in life and finding ways for you to make a difference in your own life and in the lives of others whether it is through teaching, service, or simple acts of generosity. 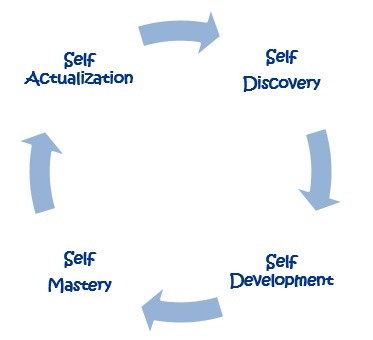 Personal development process begins with self-discovery and continues to self-actualization. Self-Discovery is the first phase of personal development. It is about the mind connecting to the soul. Your soul is the dimension that determines what you want your life to be ultimately about. Self-discovery is the process of gaining a deep understanding of our own self, character, needs, values, and purpose in life. It is finding out who you are, your personal interests, your values, your principles, as well as your hopes and dreams. 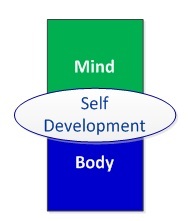 Self-Development is a process of growing your mind and developing your body. It involves expanding knowledge, improving personal skills, and developing competencies. It also encompasses maintaining your health, enhancing your physical fitness, and connecting your mind and body. After working to develop skills and abilities you can ultimately reach mastery. Mastery is the highest development of any skill. 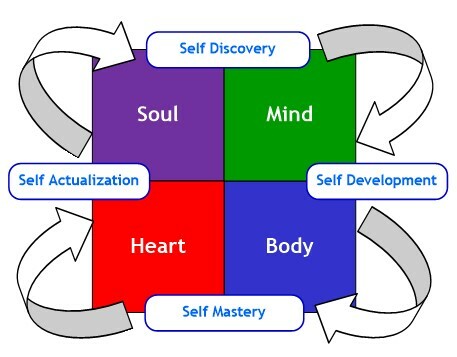 The goal of self-development is to reach mastery of your skills and abilities. Self-mastery is the ability to recognize, understand, control, and make the most out of your physical, mental, emotional, and spiritual self. It is about connecting the mind and body to the heart and soul. 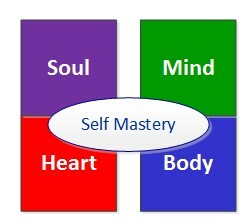 Self-mastery is gained thorough awareness, understanding, and control over thoughts, emotions, and actions.